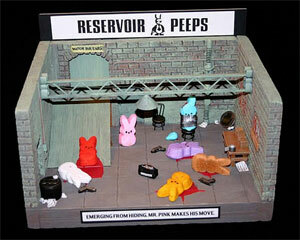 Every year the Pioneer Press has a Peep Diorama contest. And every year my friends and kids enter. In 2004, we glimpsed 'the Peeps March for Choice in Washington DC'. In 2005, we held back tears of joy as we witnessed a union of love in a beautiful 'Same Peep Wedding'. 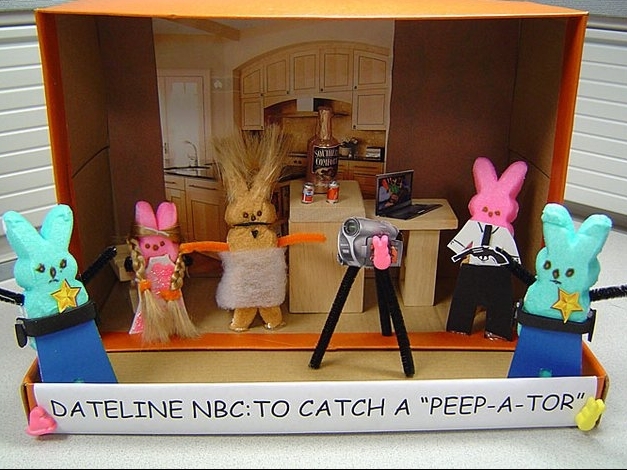 including the 'peepshow' shown here!